Mabley Green is an open space in the east of the London Borough of Hackney. 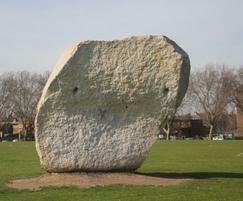 In 2008, a large climbable boulder was commissioned by Core Arts as part of the Hackney Wick Festival. The piece is intended to invite park visitors to interact with it directly by rock climbing, or ‘bouldering’. There are several routes of varying difficulty whereby climbers can reach the top. It can also be viewed as a piece of sculpture. 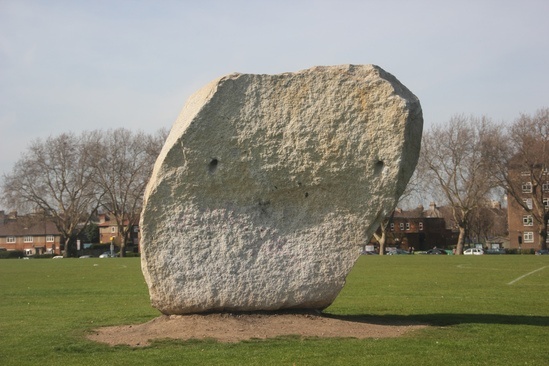 The stone measures weighs around 60 tonnes. It was supplied from Colas' Carnsew Quarry in Cornwall. It is complemented by another granite feature stone that was installed as part of the regeneration of Shoreditch Park. Together the two pieces make up John Frankland's sculptural work entitled 'Boulder'.